Despite the erratic weather conditions 125 teams and around 1300 primary school children from Rotorua took part in the annual Central Bay of Plenty Winter Sports Field Day event on September 25. Year 4-6 children participated in one of five codes – rugby, netball, football, miniball and hockey. The event is designed to give school children a chance to participate and compete in one of five traditional sports. For many it’s a chance to try their hand at a sport that they have never played before, and for others it’s a chance to compete against the best sports teams from other Rotorua Primary schools. 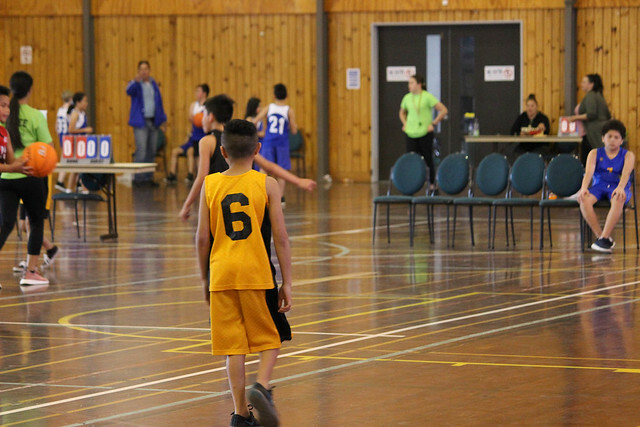 For this particular event we have volunteer coordinators from five different sport codes, plus around 40 high school referees lending their time … not to mention the numerous coaches and parental helpers who give their time to the teams. This is a real collaborative event with many people giving up a day to help out the teams at the various locations. A big thank you to Ngaire and Sue at miniball, Marilyn and Jamie at hockey, Lipi and Kelly at rugby, Juan at football and Pat, Bubby and team at netball. RBHS, WHHS, RGHS and JPC students who assisted as referees for the day did a fantastic job and I would like to pass on a thank you to them too.